It is the summer after my sophomore year in college. I had received Metal Gear Solid 2: Sons of Liberty the previous Christmas and had yet to beat it. In fact, I had barely even played it. For any single player game focused on story I had to be alone with no distractions. That was hardly possible in a dorm room shared with a techno-loving, pizza-grease-licking weirdo who listened to the Scorpions’ Wind of Change seven times in a row one day. Needless to say, any comprehension of the obtuse storyline of the Metal Gear Solid franchise was not happening in a dorm room. When I got home for the summer, I set up my bedroom at my parents’ house like a dorm room. It had a bed, a couch, a computer and a TV with my PlayStation 2 hooked up to it. The only thing that was missing was a mini-fridge that I could never talk my parents into letting me have. It was the best setup I ever had in that room and thus I spent a lot of time in there watching DVDs and playing video games. Come to think of it, it was really the last time I played a ton of video games (for a few years anyway) before scaling back my gaming and increasing my DVD-collecting and movie-watching. I knew that this summer would be the perfect time to finally get around to playing some MGS 2. The first Metal Gear Solid was the game that made me sever my complete allegiance to Nintendo consoles and buy a PlayStation. So, for me to put off really getting into MGS 2 was surprising. But, from the beginning of summer, I set the goal of finishing Sons of Liberty before school started up in the fall. 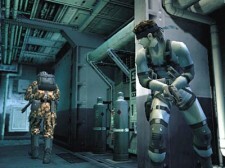 So, I sat down on my couch turned the game on and was back in the shoes of Solid Snake. A little Emo, but he got the girl. The Lightning God from MK?!?! I had purposely stayed away from any spoilers or any of the reviews of the game because I wanted to have a fresh perspective as I uncovered the secrets of the Sons. Imagine my surprise when Snake is sidelined for Raiden at Big Shell. At the time, I was upset because I had bonded with the Snake during MGS and the beginning of MGS 2and now all of the sudden I was supposed to care about this new guy? What the hell Kojima?!? I know I’m in the minority, but shortly after the shock, I settled in and actually enjoyed the Raiden storyline culminating in his inevitable reunion with Rose. As I sat there on the couch and tried to process all of the information MGS 2 was hurling in my direction, it made me think back to when I finished games in the past. For me, finishing games causes a lot of reflection. I remember the past and compare what game I just finished to some of the favorites of old. I also look to the future and wonder what games will be better or worse than the one I just finished. I like to put games in context of when they were released and how they stack up against other games. Though Metal Gear Solid 2: Sons of Liberty wasn’t as good as the first Metal Gear Solid, it played a huge part in how the franchise ended in Metal Gear Solid 4: Guns of the Patriots. Which at the time was impossible to predict (especially since Kojima went back in time with MGS 3: Snake Eater, which I have never played). Very little Snake, still smoking. If I tried to go back and play MGS 2, frustration would probably overrule my desire to see that game through. That’s not to say I don’t look back fondly but most 3D games from those systems need to stay firmly in the rearview mirror. 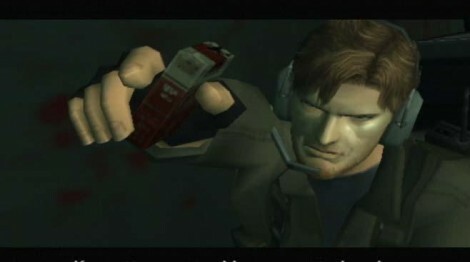 Yet, whenever I think of that summer, my desire to replay Metal Gear Solid 2 always rises to the top. Just 5 More Minutes – Anecdotes and memories of when we didn’t want to put a specific game down. More! Battlefield! Metal Gear Solid! Trailers!